TaikoProject returns to the Ford Theatres on Saturday, June 23, at 8 p.m. with its thrilling, heart-pounding and joyous blend of percussion and choreography, joined by special guest Blue13 Dance Company for a delightful collaboration of powerful drumming and contemporary Indian dance. 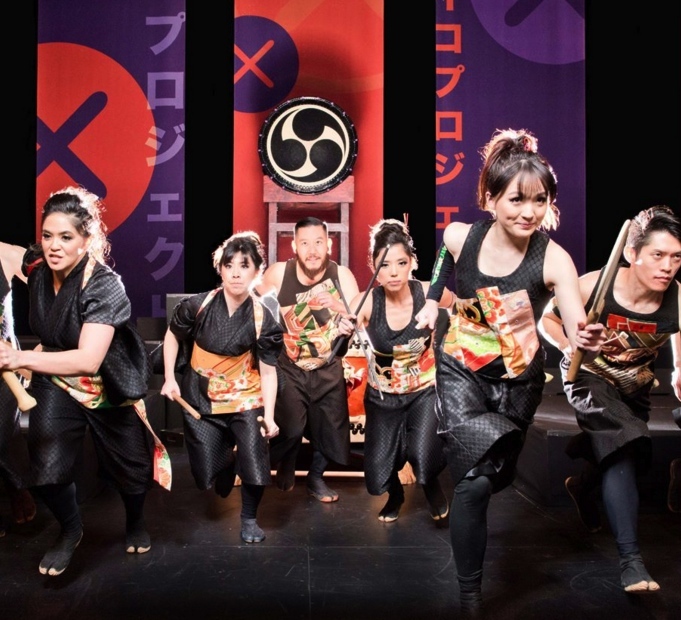 The evening will open with new and favorite taiko songs performed by TaikoProject and Kitsune Taiko, a youth performing group recently featured on Nickelodeon’s “That’s Me” media campaign. TaikoProject has been dazzling audiences since its founding in 2000, performing alongside musical superstars such as Stevie Wonder, Alicia Keys, Usher, Kanye West and John Legend. The group has performed on the Academy Awards, at the Grammys, on NBC’s “The Voice,” Syfy’s “Face/Off” and Fox’s “The X-Factor,” was featured in rock band Thirty Seconds to Mars’ epic “Up in the Air” music video, appeared with the band on “Conan” and “Jimmy Kimmel Live” and at the iHeartRadio Music Festival. They have been featured in The Los Angeles Times and on KCBS-TV, KTLA-TV and radio station KCRW. At the Ford, they will blend their singular drumming style with movement, dance, bamboo flute (shinobue), marimba and voice. After intermission TaikoProject will collaborate with guest artist Blue13 Dance Company to create an exhilarating, fun and inspiring mix of percussion and Indian dance. 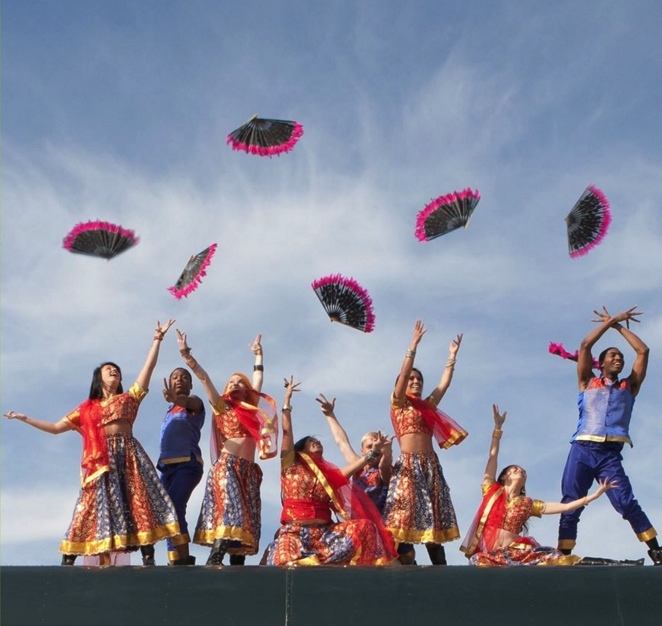 Blue13’s highly energetic and theatrical style draws from ballet, jazz, tap, modern, hip-hop, Bhangra, Kathak and Bollywood. A first-generation South Asian American, Artistic Director Achinta S. McDaniel pulls precision, humor and deep emotion from her ensemble to create work as rebellious and unconventional as its architect. Storytelling through dance is central to the company, as is a continual exploration of technique with its diverse cast of dancers. The work is moody, rhythmic and charged, presenting the audience with an intelligent experience of performance that turns the cultural stereotype of Indian dance on its head. Rhythmic Relations 2018 is part of the Ford Theatres 2018 Season, an eclectic series of music, dance, theater, film and family events that represent the diversity of the region. Ford programs nurture artists, arts organizations and audiences through initiatives designed to encourage participation in the arts. A complete season schedule, onsite dining options, directions and parking information can be found at http://FordTheatres.org. Ticket prices range from $25–$50, reserved seating. Tickets are available at FordTheatres.org or (323) 461-3673 (for non-visual media 323-GO-1-FORD). To learn about discounts for students, children and groups of 10 or more, visit http://FordTheatres.org. The Ford is located at 2580 Cahuenga Blvd. East, in Hollywood, just off the 101 Hollywood Freeway between Hollywood and Universal Studios in the Cahuenga Pass. The grounds open two hours before show time for picnicking. In addition to a variety of food and beverages available on site, patrons are welcome to bring their own food and drink (wine and beer are allowed). Audiences are advised to dress warmly for outdoor seating. The Ford is disabled-accessible. Portable wireless listening devices are available upon request. The Ford Theatres is a smoke-free facility. On-site parking at the Ford Theatres is limited and stacked: $12 per vehicle for evening shows. Carpool and save: Three or more people per vehicle pay only $7 for parking at evening shows. A free shuttle to the Ford services the Universal City/Studio City Metro Station at Lankershim Boulevard and Campo de Cahuenga. The Ford shuttle stops in the “kiss and ride” area and cycles every 20 minutes. For non-stacked off-site parking, a free shuttle services the parking structure located at 3330 Cahuenga Blvd. West; parking costs $12, cash only.